"Orson was such a perfectionist." 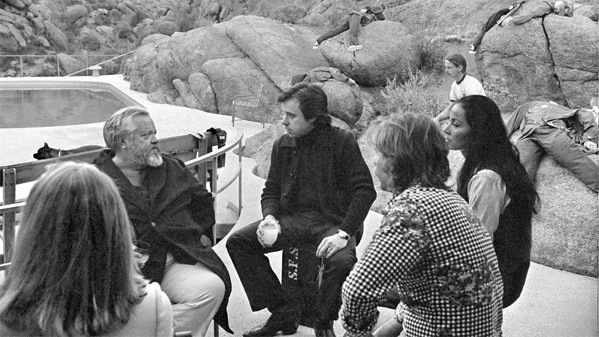 Netflix has unveiled the first trailer for the documentary They'll Love Me When I'm Dead, a film about the story of and making of Orson Welles' final film, The Other Side of the Wind, which was finished and is also being released this year. This documentary is also the second film this year made by the incredibly talented Morgan Neville, who also directed the wonderful Won't You Be My Neighbor? about Mr. Rogers. In the final 15 years of the life of legendary director Orson Welles he pins his Hollywood comeback hopes on a project, The Other Side of the Wind, in itself a film about an aging director trying to finish his last great movie. 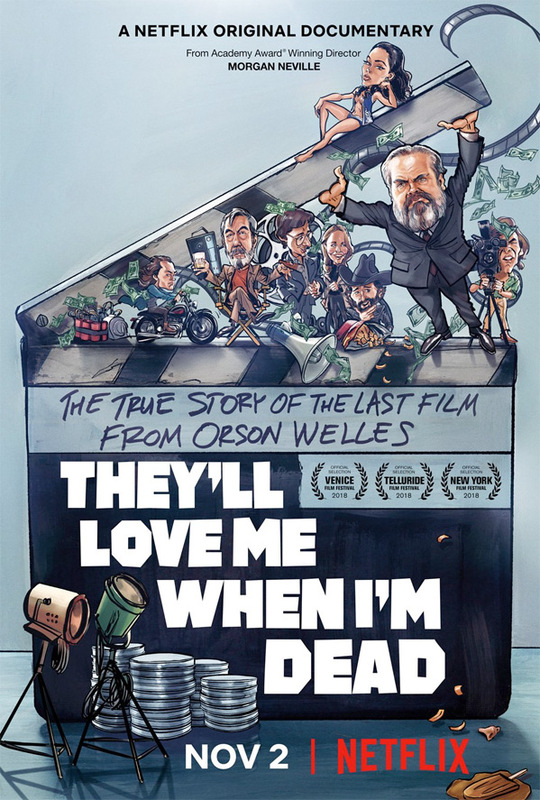 They'll Love Me When I'm Dead is about what happened, and why he never finished it, and the final days of Orson the filmmaker. This looks way better than the actual film itself. Academy Award winner Morgan Neville tells the provocative story of legendary director Orson Welles during the final 15 years of his life, when he struggled to make a Hollywood comeback with one last radical gamble. It's the untold chapter of one of the greatest careers in film history. They'll Love Me When I'm Dead is directed by award-winning American documentary filmmaker Morgan Neville, director of the films The Cool School, Troubadours, 20 Feet from Stardom, Best of Enemies: Buckley vs. Vidal, and Won't You Be My Neighbor? previously. This first premiered at the Venice and Telluride Film Festivals this year, and it will next play at the New York Film Festival. Netflix will then release They'll Love Me When I'm Dead streaming exclusively starting November 2nd this fall. Intrigued? Curious? Who wants to watch this doc?